Experience the majesty of the Sun like never before! Solarium is an innovative art video created by NASA’s media team at the Goddard Space Flight Center. 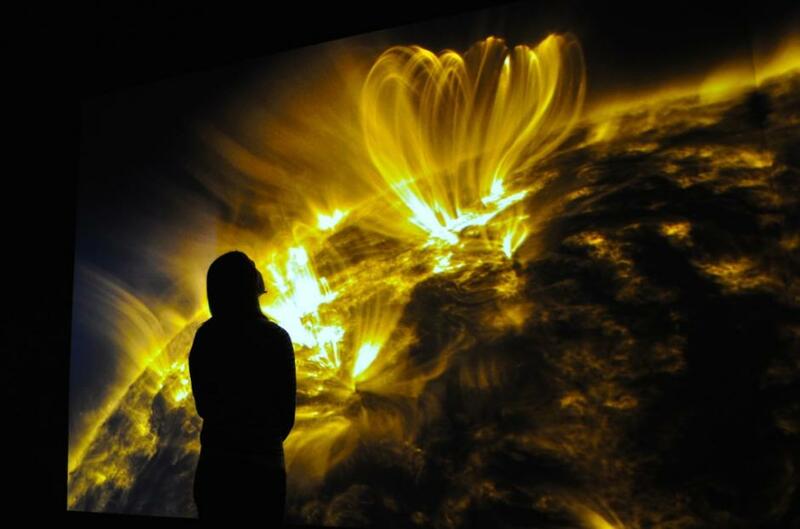 Made from images and data taken of the Sun by the Solar Dynamics Observatory, this high-definition video is presented at the Art & Science Museum as an immersive experience. Displayed as part of the recent exhibition Sun Light / Star Light: Contemplations on the Solar Orb, Solarium is being extended due to popular demand. "Solarium" as installed in NASA's Goddard Space Flight Center in Greenbelt, Maryland. Image courtesy of NASA.